Organized to raise funds for the broken down 4×4 vehicle of Future For Nature winner Matt Shirley, the conservation pub quiz in Wageningen was a hit! Many people showed up to support the cause and have a fun evening filled with nature, beer and cake! After a short video fabricated by Matt Shirley himself to show where all the raised money would be contributed to, the quiz started with the nice presentation by Davy and Laura. There were 7 rounds to be played: natural history, animal trivia, a picture round, nature documentary/movies, nature in the news, animal sounds and the interactive round. During the first rounds brains were cracking, and especially the picture round was amazingly well scored on by all teams! In the final interactive round, after the beers had kicked in, we saw many beautiful mating dances performed by the representative(s) of each team. In the end, after all points had been added, the winners went home with each a Future For Nature Award book! The second place received some seeds from “ons zaden”, and third place got a box of chocolates. At the end of the evening, we counted all the money received as entrance fee, and from the (cake)donation box, which came down to the total amount of €359,15!! This beautiful sum of money will do good to crocodile conservation. Thank you everyone for coming, and hope to see you next time! 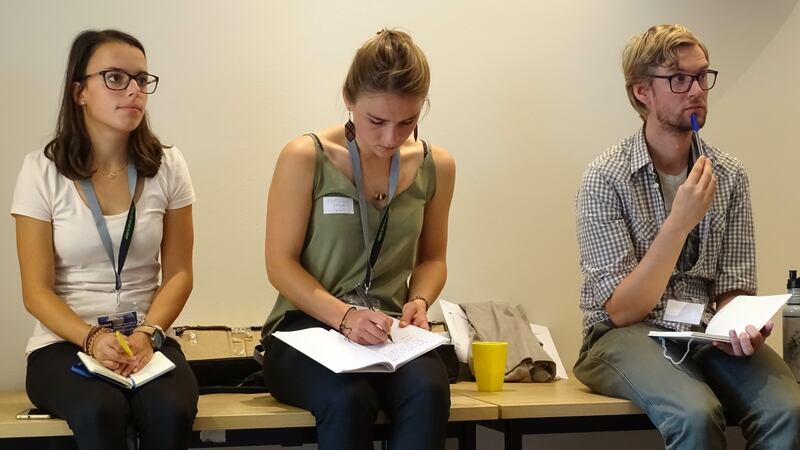 On September 15th 2018, the first event from the Future For Nature Academy Nijmegen chapter was held in collaboration with Nijmegen Green Capital. Our hosts, Jannah and Eline, welcomed over 35 people at De Bastei, natural and cultural history museum on the River Waal. Sticking close to home, Caspar Hallman, a researcher at Radboud University, was invited to present his team’s recent findings regarding declining insect populations and its adverse effects on ecosystem functioning. Steep drops in insect populations have been documented worldwide, resulting in many terrestrial invertebrate species to land on the IUCN Red List as threatened with extinction. Invertebrates however are the least well-evaluated faunal group within the IUCN. Caspar explained how German entomologists have dedicated over 30 years to their insect monitoring activities. Based on consistent biomass monitoring throughout protected nature areas in Germany, Caspar and his team solidified suspicions of steep drops in insect populations. A 76% seasonal decline (and up to 82% in midsummer) in flying insect biomass was documented over 27 years, exceeding original estimations and expectations. Findings furthermore indicated that whole insect communities are affected by this phenomenon, highlighting that such a loss certainly must compromise food web stability and ecosystem services. These findings however only raised further questions about the driver of the decline, and although inconclusive, Caspar’s research speculated likely causes, such as intensive agriculture and landscape homogenisation. To end on a positive note, Caspar gave suggestions on how communities and individuals can help aid conservation efforts and contribute to saving the insects by for example, planting appropriate flora, decreasing maintenance and use of pesticides, or building insect hotels. 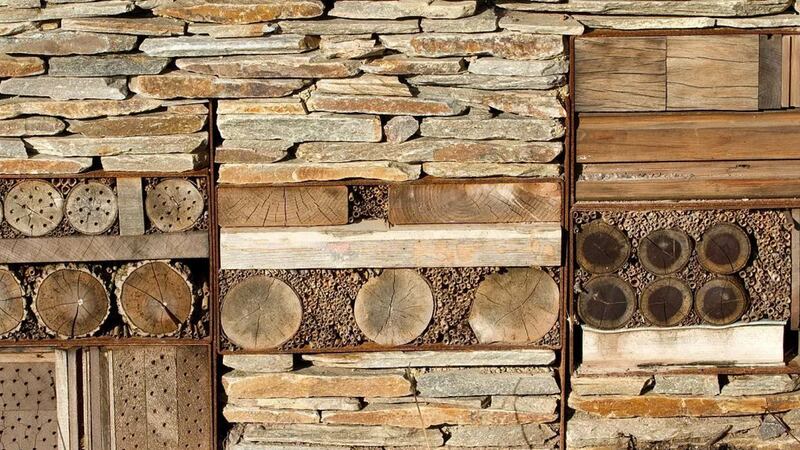 A warm applause and question period followed, proceeded by part II of the afternoon event – building insect hotels! Both kids and adult attendees were excited to start the construction, and even got to personalize their hotels to be home for specific insect species depending on the materials chosen. Over fifteen beautiful hotels were built and are now hung from balconies and fences or placed in garden corners around Nijmegen, turning our local community into a more insect-friendly space! Poaching and the illegal trade in wildlife products is a major conservation challenge of the 21st century. Many scientists and conservationists are using their expertise to understand and tackle this complicated problem. 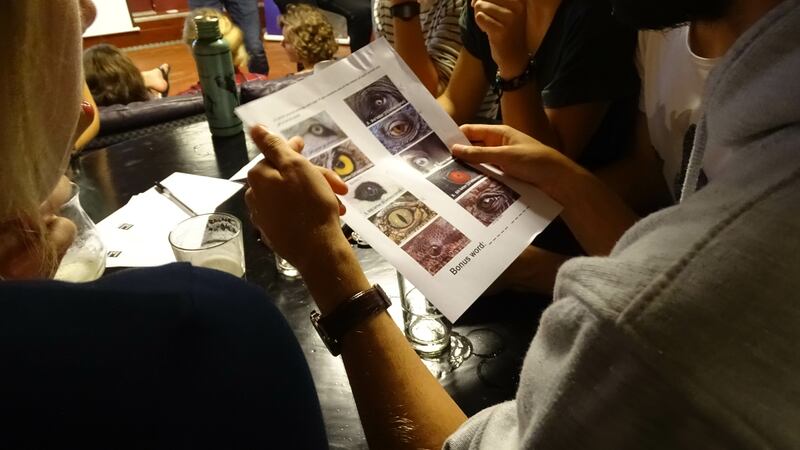 On the 24th of August, the Future For Nature Academy joined forces with dr. Andrew Lemieux of the Netherlands Institute for the Study of Crime and Law Enforcement (NSCR) and together organized a Wildlife crime seminar “From source to market”. When we think of poaching or wildlife crimes, many of us probably think of poached rhinos, elephants, or tigers. However, the illegal killing of plants and animals in the wild is only one stage of a whole poaching-chain: the animal products also need to be transported or smuggled outside of the source country, and will be eventually finally be sold to a consumer. All these different stages are equally important and the better we understand how each stage works, who is involved etc., the better we are able to design prevention strategies. During the seminar the whole ‘chain’ of wildlife crime was discussed, including poaching in protected areas, transportation to markets and consumption by end-users. For example, we learned about the patterns in bushmeat poaching, about trade networks from Africa to Europe, but also about consumption in China. Nine different experts shared their stories with the audience in the morning and afternoon. Each of the expert focused on one or more stages of the whole ‘chain of poaching’. The experts were not only researchers and academics, but also practitioners from governmental agencies. It was very interesting to see how the different Dutch agencies and organizations operate and work together. According to some of the experts, the Netherlands play quite an important role as a transit country in the illegal wildlife trade. We also discussed some less obvious, but hugely important topics such as wildlife laundering through breeding farms, and the enforcement at customs. In between talks there was room for some questions, but the main discussion was at the very end. All the experts formed a panel to which the audience could ask follow up questions, discuss certain topics, and identify research gaps on which students could focus. Some of the key points that was highlighted was an interdisciplinary approach to better understand the problem and students were encouraged to also look outside their own discipline. Other points that were mentioned was that we also lack basic biological information about the species in the wild. This is especially the case for the lesser-known reptiles and amphibians species. 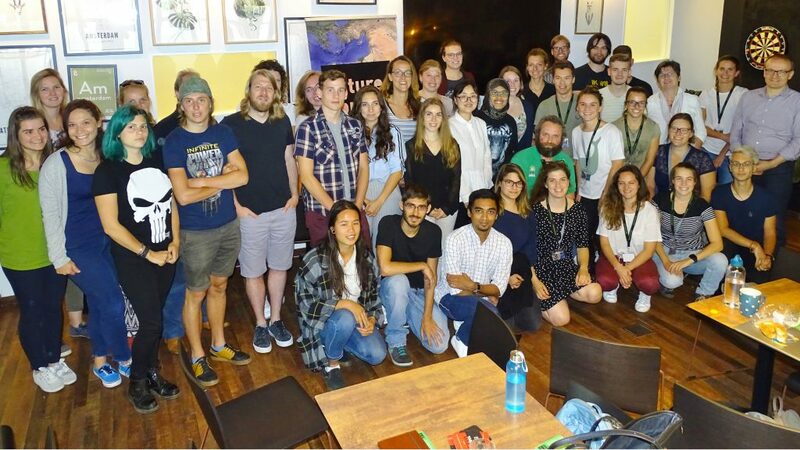 The students could approach the experts in an informal setting, but also the other participants to learn more about each other and their work. Perhaps, the greatest opportunity was that everyone was actively involved in identifying research opportunities where students could focus on! 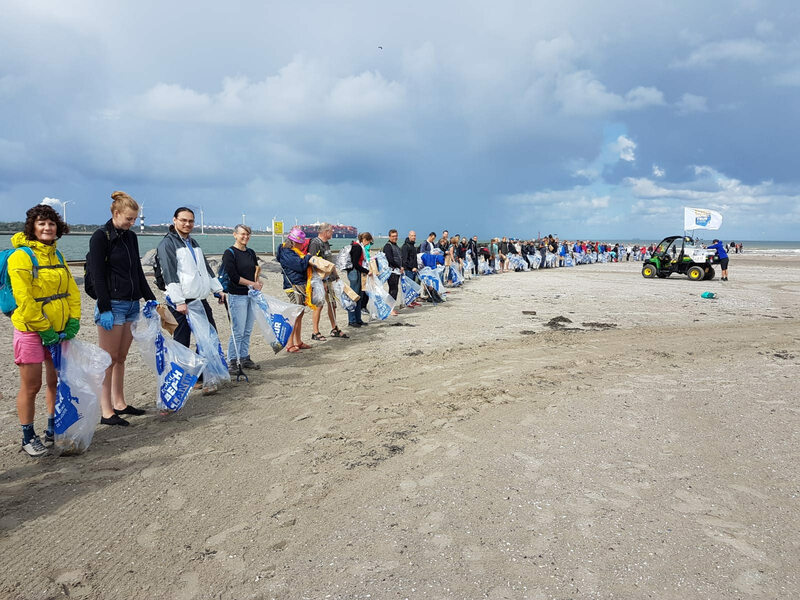 The seminar was a big success with many students, practitioners, and professionals from all over the Netherlands joining in. Barbara Galetti is president of Centro de Conservacion Cetacea (CCC), a Chilean NGO dedicated to the conservation of cetacean species and the marine ecosystem. In 2011 she won the Future For Nature Award, and now she was back in the Netherlands for a short visit. 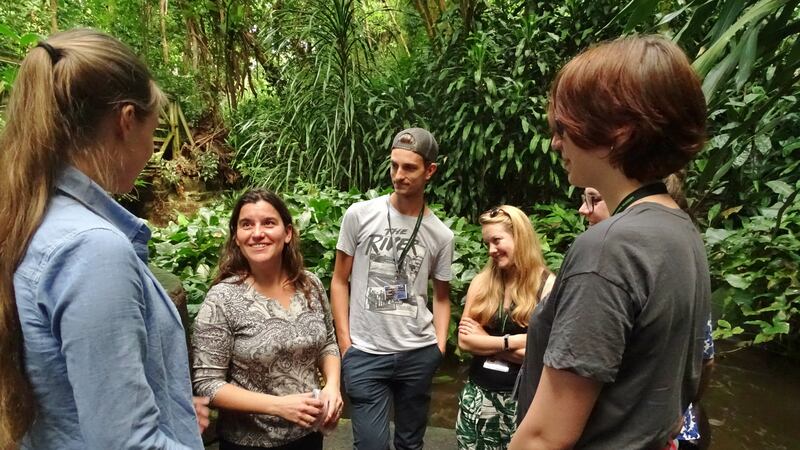 Eight of the Future For Nature Academy members had the opportunity to meet her personally in Burgers’ Zoo. With only a little bit of time Barbara took the FFN Academy group through her journey of setting up the CCC. How CCC was founded and what challenges she faced. She answered the various questions of the FFN Academy members and stressed how important every individual’s contribution is. She reflected that the younger people today are more conscious of what others think, which has unfortunately make people less activistic in their battle for nature conservation. Especially in South-America, being a conservationist is not ‘cool’ and can be dangerous. In her career she has learned that it is not always possible to stay friends with everyone if you want to achieve your conservation goals because everyone has their own agenda. She explained how she aims to stay independent of the commercial industry as this often leads to compromises in conservation work. At the end of the meet and great Barbara referred everyone to look up the movement reclaimconservation.org. 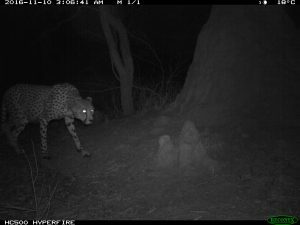 A quote from a recent scientific article reads: “Conservation is not rocket science…it is far more complex than that.” And that is actually the reason why Dr. Andrew Lemieux is so interested in studying wildlife crimes. 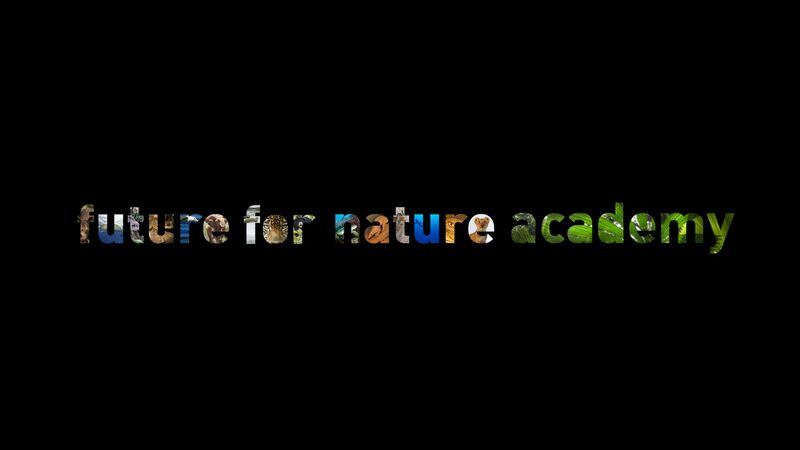 On Tuesday 26th of June, the Future for Nature Academy invited Andrew to share his experiences and knowledge on wildlife crime in a public lecture in Amsterdam. Andrew is a researcher at the Netherlands Institute for the Study of Crime and Law Enforcement in Amsterdam where he is the coordinator of the wildlife crime research cluster. Straight from the beginning, Andrew dived into the different scientific methods that he uses in his research. Andrew approaches wildlife crime from a criminological perspective, and is particularly focused on applying lessons learned from research on crime prevention and policing to improve wildlife protection. While criminology and conservation may seem an odd combination at first; often we hear from wildlife biologist or ecologist about poaching as a major threat to plants and animals worldwide. Andrew explained to the audience that criminology has actually a lot to offer. Andrew then went on in explaining that a defining a specific problem is key for the success of successfully fighting crime. For example, projects that aim to prevent crimes in Amsterdam are likely to fail simply because they are too vague. Or as Andrew put it: “Poaching isn’t poaching isn’t poaching”. He stresses the need for first defining a specific problem, before thinking about what the solutions could be: A project that aims to reduce bike theft at train stations in Amsterdam is already a much better defined and this helps to identify appropriate solutions. This is what Andrew refers to as ‘problem-oriented wildlife protection’. This concept is already being implemented in several sites in South-East Asia, specifically aimed at protecting tiger populations. Andrew’s experience with rangers in the field and his interesting, criminological approach gave us a lot to think about. While at first, it may seem a very daunting task trying to deal with all these different angles, but the message was clear: it can be done! It was great to see that so many people with different background joined this lecture. I think I speak for all the participants when I say that we learned a lot that evening! For most people, night time marks the end of a day, but for some creatures, it is only just the beginning. If you think urban centres are devoid of wildlife, you might want to reconsider, for its wild inhabitants might just be waiting for the fall of night to roam about. Bats are among the most iconic but virtually undetected nocturnal city dwellers. Circa 21 species of bats can be found in The Netherlands alone and some of them might even call your roof home! 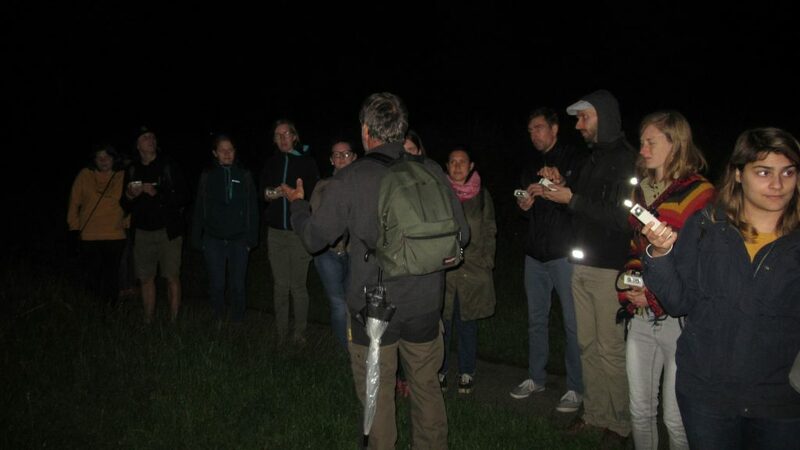 As an exciting way to start the month, we had the pleasure to join ecologist and bat expert Ilco van Woersem in a nocturnal excursion through the residential suburbia of Utrecht in search of the elusive ¨flying mice¨. Equipped with bat detectors, small devices that detect the ultrasounds produced by bats, we followed Ilco into a residential neighbourhood and, lucky for us, he knew exactly where to find the bats. According to Ilco van Woersem, Dutch houses have small gaps in their structures, where bats can easily fit through. It is no wonder they chose someone´s roof to make their nest! Right after dusk the first inhabitant emerged. Our task? Counting them. It wasn’t easy but, in total, we were able to detect c.a. 42 individuals emerging from the roost site. This was a roost of the common pipistrelle (Pipistrellus pipistrellus), one of the most abundant species in The Netherlands. But the evening was far from over. From the house, we took to the wonderful Beatrix Park, where we were able to hear, and in some cases see, other bat species. One notable species being the water or Daubenton´s bat (Myotis daubentonii). The water bat is most notable for occupying a distinct foraging niche since it only feeds above water bodies. We were also delighted with the presence of two other bat species during our walk, Pipistrellus nathusii and Eptesicus serotinus, both with very distinctive vocalizations that we were able to recognize with the bat detectors. Unfortunately time flies, and it was time to head home. Our participants were able to return with a few bat trivia up their sleeves. So now you know, next time you take a walk at night, look at the skies! Thank you all for participating and we hope to see you again soon! When someone asks us about heroes, we often think of the visible. People who have shown great things and they have probably been in the news a couple of times. Nevertheless, many heroes work mainly behind the scenes and that causes them to be unseen. 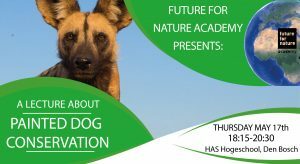 On Thursday May 17, we welcomed one of the heroes of the Painted Dog Conservation (PDC), Wilton Nsimango, at HAS University in Den Bosch. Wilton enthusiastically taught us all about PDC. Painted dogs face many threats. Therefore, protection and conservation have to consist of many different acts. Employees of the PDC reach out not only to the dogs, but also to local people. Education is a great way to involve children in nature conservation. A painted dog is something extraordinary, which many kids have never seen before. Who would care for something unknown? Schoolkids with the age of 12 are invited to a bush camp, where their first meeting with painted dogs will take place. After 4 days, many kids leave inspired and want to protect the dogs. Today, 15 years later, several students have started working at PDC. Besides that, there is a rehabilitation centre, an Anti-Poaching Unit team, and the Iganyana Art Centre. The last one deserves a little bit more attention. For example; wire snares, which often lead to death of the African Wild Dog, are used to create art. But snare art is just one of the things that are made in the Art Centre. As stated on their website: www.painteddog.org, they are “turning something negative into something truly wonderful”. What do you do when you’re interested in Dutch nature and want to know more about different issues around it? 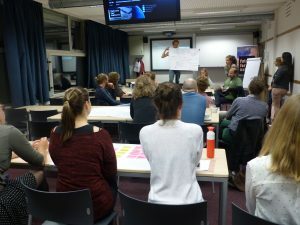 The FFN Academy organised the perfect workshop evening, where eager participants could lend some of their creative brainpower to 3 Dutch experts from different fields. Every specialist prepared a case study from their area of expertise, which we discussed in groups and presented the results and solutions to the other groups at the end of the evening. Elze Polman talked about ‘the return of the wolf to The Netherlands’, John van Duursen about ‘the restoration of Dutch peat bogs’ and Eelke Jongejans about ‘the decline of flying insects’. Sounds pretty interesting right? It most certainly was! We got an introduction talk about every case from the experts. Improving communication with the public was a clear trend through all cases, which is a challenging subject that a lot can be said about. We divided ourselves into 3 separate ‘task forces’ to tackle the case studies. At every table people were enthusiastically writing things down and were joined in active conversations. Time flies when you’re having fun, because soon after we had to present our posters with results. From every group 2 people proudly presented their poster. The wolf group had lots of ideas on how to better inform the public about wolves in the Netherlands. They also had some interesting thoughts on helping farmers to scare away wolves with urine from other predators. The peat bog group had some great initiatives to attract people to peat bog areas for local tourism as well as making citizens feel more connected to the areas. The insect group promoted their ideas on changing farms into nature areas plus improving public awareness about Dutch insects. Overall, everyone had come up with different approaches to their cases and to improving nature communication. We as participants got an insight to the problems with nature in the Netherlands, while the experts hopefully got to take new ideas and insights with them to their workplaces. Finally we moved to the hallway where we had drinks and the opportunity to further discuss ideas that came up during the workshops. It was also a great moment to strengthen networks by meeting new people and chatting to old friends. Eventually, we stood there talking till the moment the building had to close. Overall, a great evening!